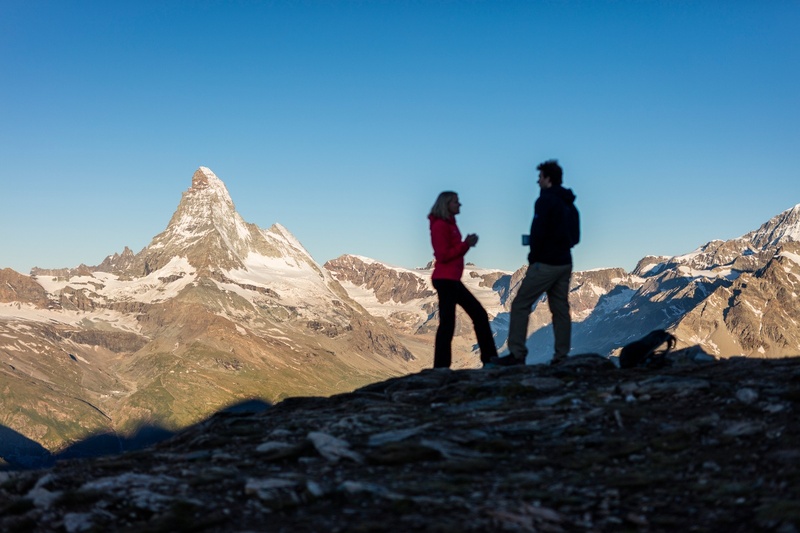 Hikers following the trail from north to south – in other words, from the Ritzengrat ridge down to Blauherd – have the Matterhorn in view throughout. The path leads through the Meisterswang area on the northern part of the Unterrothorn (known as the Rothorn). For hikers, the whole slope has the feeling of a mountain balcony thanks to the glorious views. 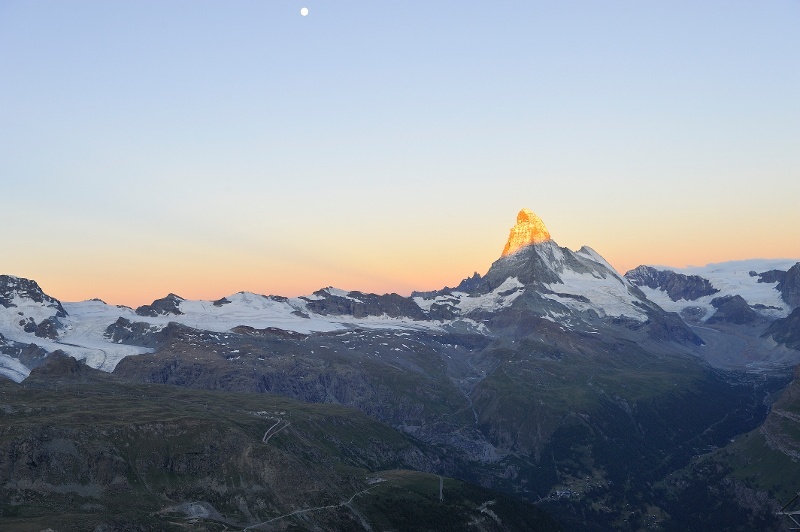 The star of this trail is without doubt the Matterhorn. Information panels reveal fascinating facts about this world-famous mountain. 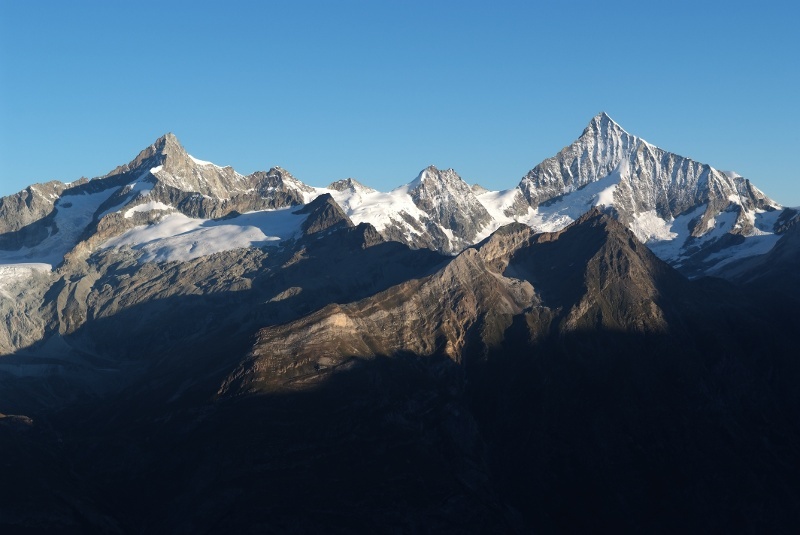 Why do people say the Matterhorn is African? How was it formed? What role did the long-vanished Tethys sea play? 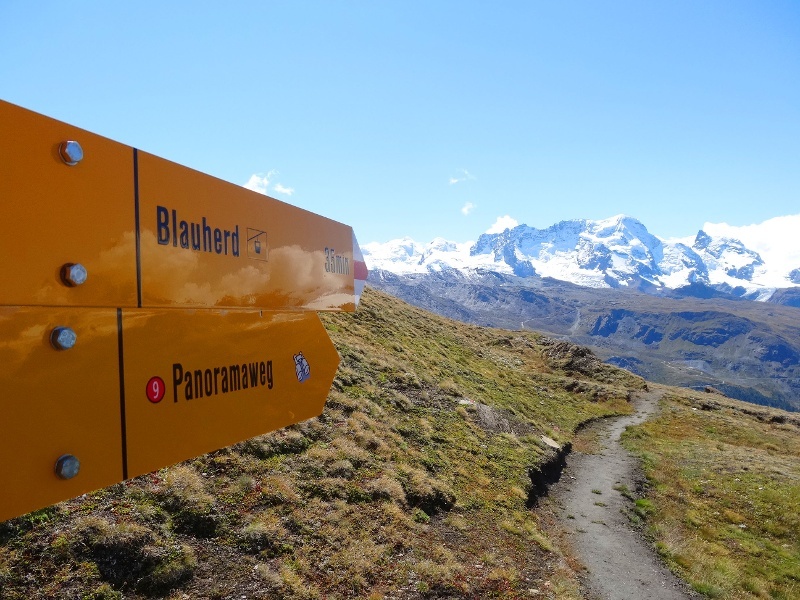 Anyone curious about geological processes and the formation of the Matterhorn should explore this trail at least once. Extending your hike with the Adventure Trail (no. 1) is possible.